Winter is here. Take care of yourself naturally with Frantsila organics. We are featuring a few products to help you through the rough winter season. As soon as the temperatures are cooling down, extra moisture in skincare is needed and colds creep in more easily. Here are some natural choices to help coping with and preventing some of the seasonal ailments. 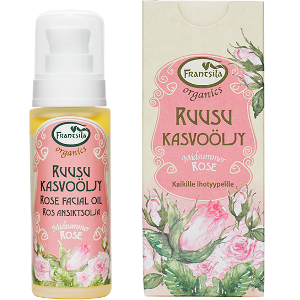 Rose Facial Oil: Moisturizing, vitalizing and balancing organic facial oil. Midsummer Rose Facial oil is deliciously fragrant organic oil that makes your skin velvety smooth and helps to retain its natural moisture. Rose Facial Oil is suitable for all skin types. Use the oil as such or add a drop to your regular facial cream for extra moisture in the mornings and the evenings. 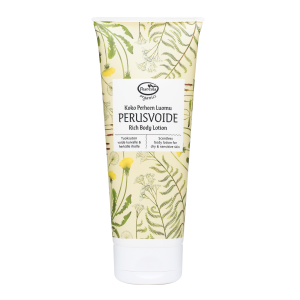 Mother Natures Hand Cream for beautiful, soft and healthy hands and nails! 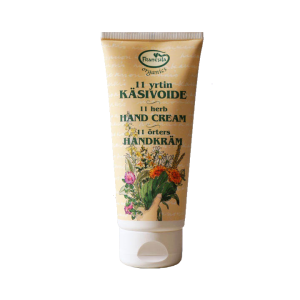 Mother Natures Hand Cream contains skin moisturizing, nourishing and regenerating Frantsila 11 miracle herbs. Protect your hands from drying out in the winter by applying twice a day. For an added effect you can do a hand treatment mask: apply a thick layer of Mother Nature's Hand Cream, and then slip your hands into cotton gloves for a couple of hours. Rich Body Lotion: neutral and gentle organic body lotion is suitable for the daily skin care of the whole family. Rich Body Lotion nourishes the skin making it soft, and works well to treat and prevent dry skin. The lotion is ideal to help deal with dry winter air. Apply daily and especially after showering. 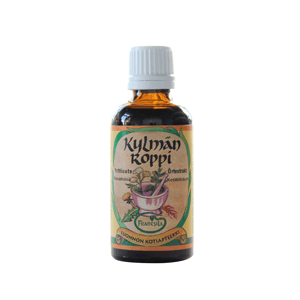 Winter Drops Herbal Tincture: Nature's power drops in case of cold or flu. This Herbal Tincture is a combination of five herbs and propolis. The drops can be taken internally in the treatment of common cold and flu. It is especially efficient when taken as soon as the first symptoms of cold appear. Dosage: 15-20 drops 3 times a day with water as soon as symptoms appear, or as a preventative treatment to enhance immunity. Echinacea Extract Herbal Tincture: Organic Purple Coneflower extract to help boosting the immune system, prevention and treatment of colds and flu. 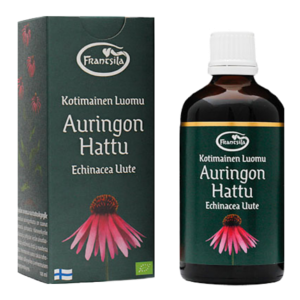 The Frantsila Echinacea purpurea gets its power from the pure Finnish soil and the unique northern midnight sun since 1982. it is in the form of a traditional herbal tincture that ensures the preservation and excellent absorption capability of active ingredients. Dosage: 25 drops 3 times a day, or when needed. Sneezy Essential Oil Mixture helps opening respiratory tract and alleviating symptoms of cold and flu. Use Sneezy Essential Oil Mixture in vapor bath or inhalation, in air humidifier or in the sauna to treat runny nose, cough, sinusitis and ear infection. Vapor bath or inhalation: Add 2 - 3 drops of essential oil in 1 liter of hot water, cover your head with a towel and hold your face above the water for 2 - 3 minutes. Best Friend Oat Pillow: Loosen up for a moment and let your concerns and stress melt away with "Best Friend" Oat Pillow on your shoulders. The warm oat pillow also gives relief to joint aches and lower back tension, when winter chills creep into your kidneys. According to an old Chinese saying; "warm kidneys bring you happiness, vitality and a long life". You can also tuck yourself in, with your cold feet and your "Best Friend" oat pillow, and get the best sleep ever. 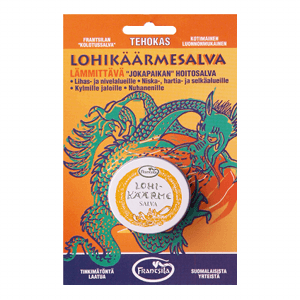 Dragon Salve: Aroma therapeutic organic salve revives blood circulation and releases muscle tension. It helps warm up cold feet and joints. For headaches, apply and massage the Dragon Salve onto neck, shoulders and temples. Warms and alleviates symptoms of cold, flu and stuffiness: massage onto the chest area, upper and lower back, neck, ear lobes, and soles of the feet. We hope that these products will bring you some relief and joy! Click on the name of the product for more information. You can also find more Frantsila winter season products here.